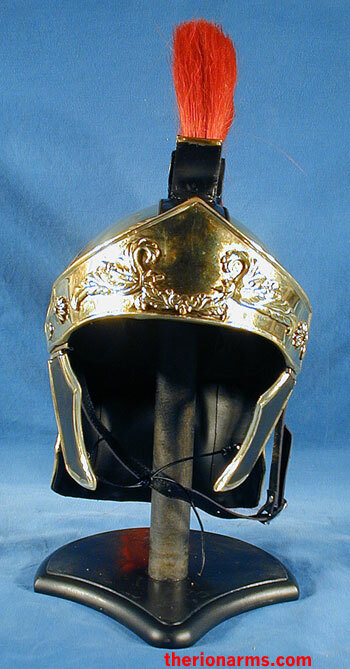 Command officer's Attic style Roman helmet. 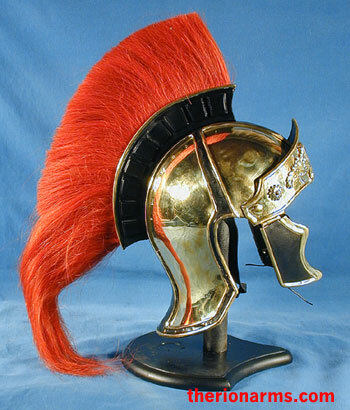 The spectacular crested helm originally appeared in a more primitive form in Greece around 350 B.C., but saw its most popular use during the Roman Empire. 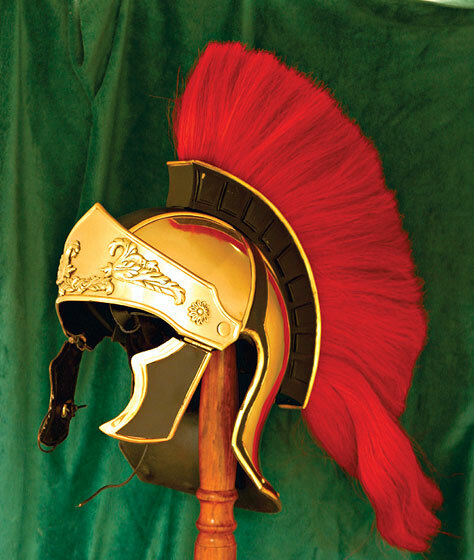 It saw service with officers of the Roman legions up to 400 A.D. and varied from plain to decorative. 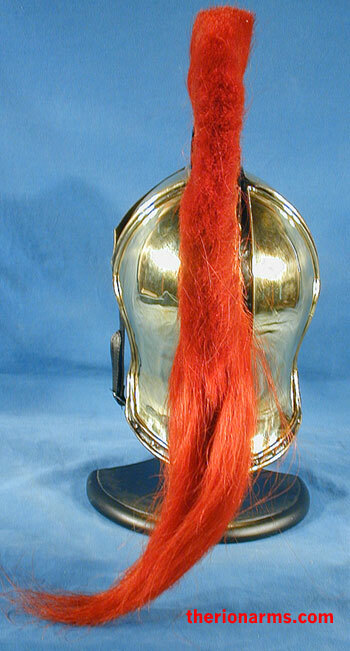 This version is made from hand worked brass and is adorned with handsome leather accents and a detachable red horsehair crest. 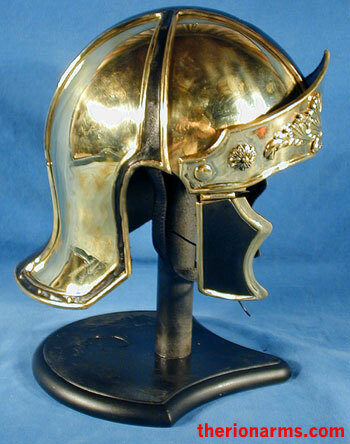 Although it does not represent any specific helmet, the style appears in many artifacts throughout history (and Hollywood!) 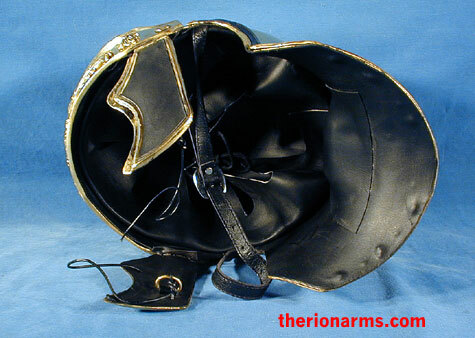 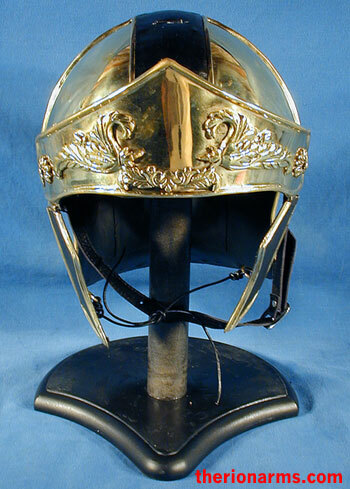 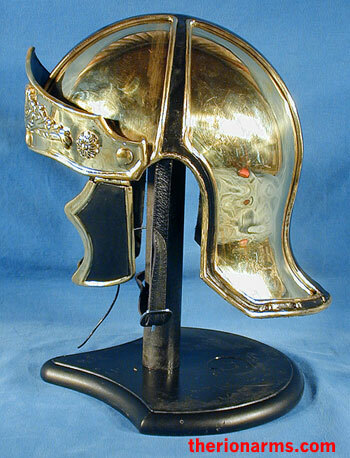 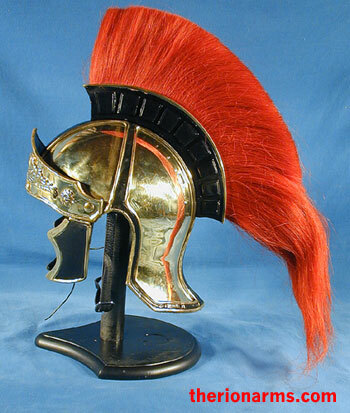 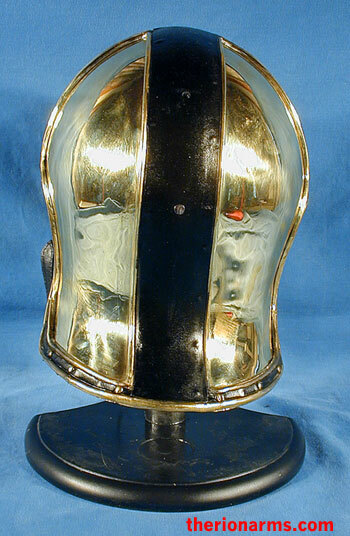 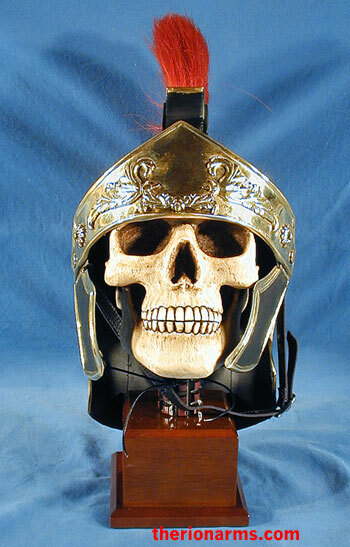 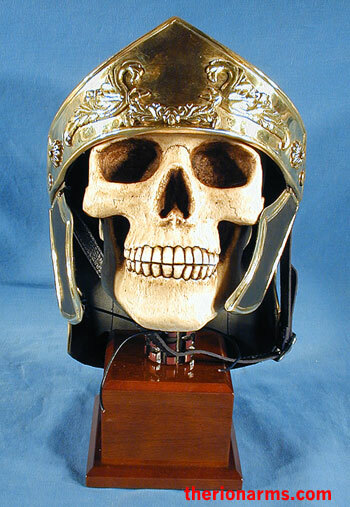 The helmet is lined and fully wearable - a must for any actor or collector of fine Roman militaria.